The document was initiated in 2015. To account for the opinion of Sakhalin Indigenous Minorities (SIM) during the SIMDP-3 elaboration, two rounds of extensive and open hearings have taken place in the areas of SIM traditional residence and economic activities with over 500 people participating. The SIMDP-3 Working Group includes representatives of the Regional Council of Authorised Representatives of the Sakhalin Indigenous Minorities, Sakhalin Energy Investment Company Ltd., and of the Sakhalin Oblast Government, a member of the Sakhalin Oblast Public Chamber, and an SIM representative at the Sakhalin Oblast Duma and RAIPON (Russian Association of Indigenous Peoples of the North, Siberia and the Far East). The Working Group has developed an SIMDP-3 Elaboration Plan. Also questionnaires to account for the public opinion have been elaborated, and reviewed by the Working Group. Report on the Results of the Study of Public Opinion on the Implementation of SIMDP-2 and the Preparation of SIMDP-3. SIMDP-3 (draft) has been discussed by the SIM representatives. 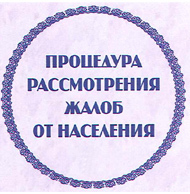 The conference “Prospects of Further Cooperation under the Third Sakhalin Indigenous Minorities Development Plan (SIMDP)” took place on 26 November 2015, in Yuzhno-Sakhalinsk. It was attended by 52 participants from the areas of SIM traditional residence, and over 30 invited persons. The primary goal of the Conference was to obtain the consent of the SIM representatives to implement the SIMDP for 2016–2020. As a result, the consent concerning the Third Sakhalin Indigenous Minorities Development Plan was obtained, and it was decided to sign the tripartite implementation agreement. On 6 December 2015, an official ceremony was held in Moscow to sign the Agreement on the Implementation of the Third Sakhalin Indigenous Minorities Development Plan for 2016–2020, a unique form of the public and private partnership, often recommended for introduction in other regions of the country. Sakhalin Energy is going to allocate USD 320,000 annually for the next 5 years (2016-2020) to implement projects within SIMDP-3.